Death is a part of our lives, but occasionally hits and a young man for whose neighborhood it can be very hard impact. In such a situation we have now found himself a policeman prap. Thomas Mauer, which suddenly widowed and left alone to educate 18-month son Oliver. Deserving law enforcement officers now helping Endowment Fund REGI Base, who support the, who serves as our company, he gave as his goal. Thomas Mauer is used at the Regional Police Directorate of the Capital. m. Prague Foreign Police Department in the sixth year. During that time, he had never hesitated to assist other officers in difficult situations or survivors of deceased police officers or tragically fallen soldiers. expecting, that in such a situation one finds himself alone and will need help and support of others. Just experiencing the happiest time of his life, When his wife Renata educate young son Oliver, when he came to a sudden operation, he had to take his wife. Originally banal procedure was unexpectedly big problem, When Renata was found a tumor in the abdomen. After a long and exhaustive investigations and the time spent in the hospital finally succumbed to illness. 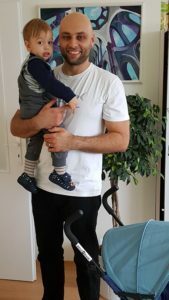 "Although this loss, When Thomas came suddenly a wife and mother of little Oliver, There is no substitute, we jointly express support in this difficult period and to assist in stabilizing the social situation of survivors, and also ensure the necessary care for Oliver. We decided to organize a collection called Oliver, which will in turn help with the care of Thomas, son. 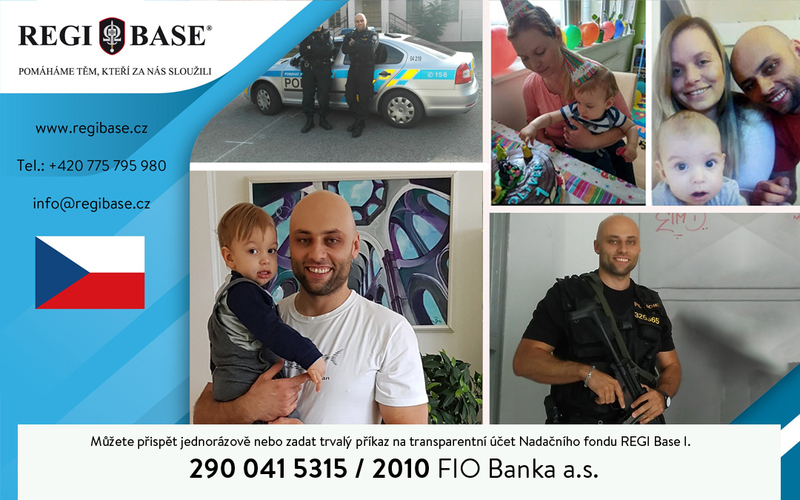 Especially ensure babysitter, the need for child development, physical activities, material equipment, legal and other services,"Says Hynek Bohemia, Founder of the Foundation REGI Base. Help small and Thomas Oliver can now fellow police officers, but also the general public. Collection takes place through a transparent account of the Foundation REGI Base 290 041 5315/2010. "Because in this situation may put anyone of us or our loved ones, we trust, that the public will not remain indifferent to this event, and that the cops friendliness not empty concept,"Says Hynek Bohemia. 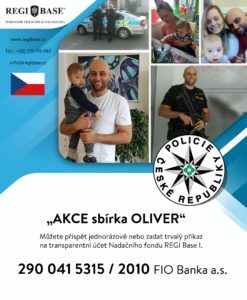 The newly established collection OLIVER will then also serve other families of policemen in the Czech Republic, who lost his wife, or if he dies alone policeman and a child left alone with only one parent.